These lightweight and sturdy brackets easily attach to extension ladders, allowing you to place a walkboard between the two ladders. There are simple adjustments on each bracket that allows you to compensate for the angle of the ladder. 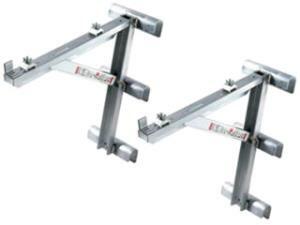 * Please call us for any questions on our ladder brackets pair rentals in Hillsdale and Ridgewood NJ.